M. Robzen, Inc. is unique in the “Philly Steak” manufacturing business and unlike some of our competition we maintain a staff of experienced trimmers to custom trim meat cuts prior to the steak slicing. This ensures much better control over the possibility of bone chips or of grizzle. Traceability through diligent documentation is maintained on all finished product from start to finish. M. Robzen, Inc. prides itself in its terrific, local, fully trained workforce. Many of its employees have been with the company for years. 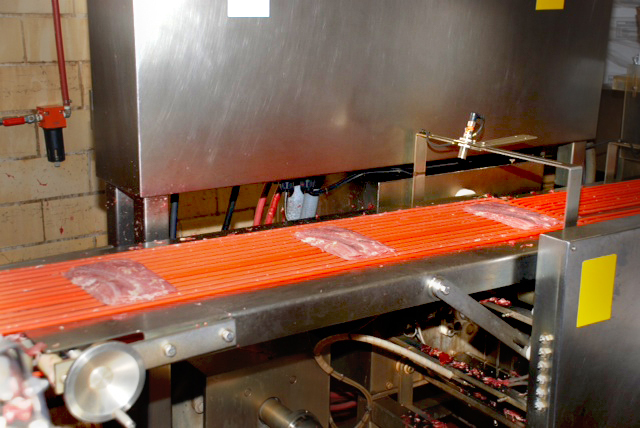 These employees have developed a certain expertise in handling, cutting, and trimming first rate meat, giving the customers the best product possible. M. Robzen Inc. is also relentless in training its workforce in new methods, health and safety laws. The facility is also kept meticulously clean, besides being completely smoke-free. M. Robzen, Inc. utilizes state-of-the-art equipment in order to provide the best quality meat possible along with the tightest control over portion weight. 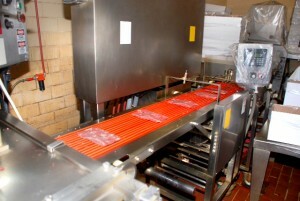 Our portion weight control is among the tightest in the industry. Whether it’s cutting machines or cooling equipment, transportation or storage equipment, its all the best, most modern machinery available in the industry. M. Robzen, Inc. has vast temperature and humidity controlled warehousing to store product for its clients. But the company prides itself in fast turn-around times and on-demand delivery for its large array of products. The fact that the company is located just minutes from some of Americas major highways helps this quick delivery process as well.